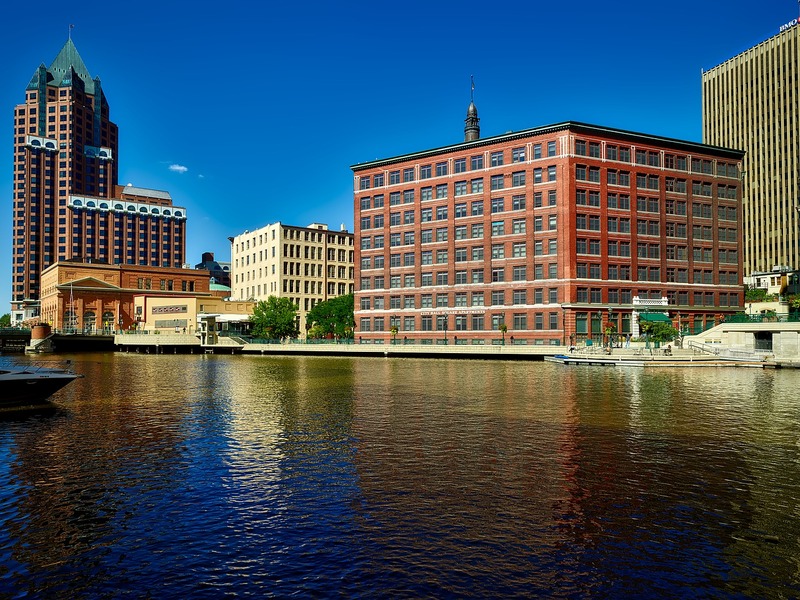 The Milwaukee Metropolitan Sewerage District (MMSD) has begun construction on a $300 million flood management plan for the Kinnickinnic River and its tributaries. The first phase involves removing concrete from the riverbed in Pulaski Park and replacing it with rock to reduce erosion. According to the Milwaukee Journal Sentinel, crews will be working in the park throughout the winter and spring to remove 1,600 ft of concrete before placing rock on the river bottom to manage erosion and provide a natural appearance. While more than 130 trees were cut down in September in preparation for excavating the river channel up to 200 ft wide through the park to manage floodwaters, 150 trees and 125 shrubs will be planted upon completion. Additional flood control measures will include new bioswales between the park’s pavilion and the river to collect storm water runoff. The area below the West Cleveland Avenue Bridge will be widened to accommodate additional storm water. The project will dig up an estimated 66,000 cu yards of soil, enough to fill 6,600 dump trucks with a capacity of 10 cu yards. 56,000 cu yards of the soil will be used as clean fill at construction sites, while the remaining soil is contaminated with low levels of PAHs and metals. The contaminated soil will be disposed of at the Rexnord Industries’ Falk landfill. After completing the Pulaski Park flood project, MMSD will focus on improving storage of floodwater at Jackson Park.